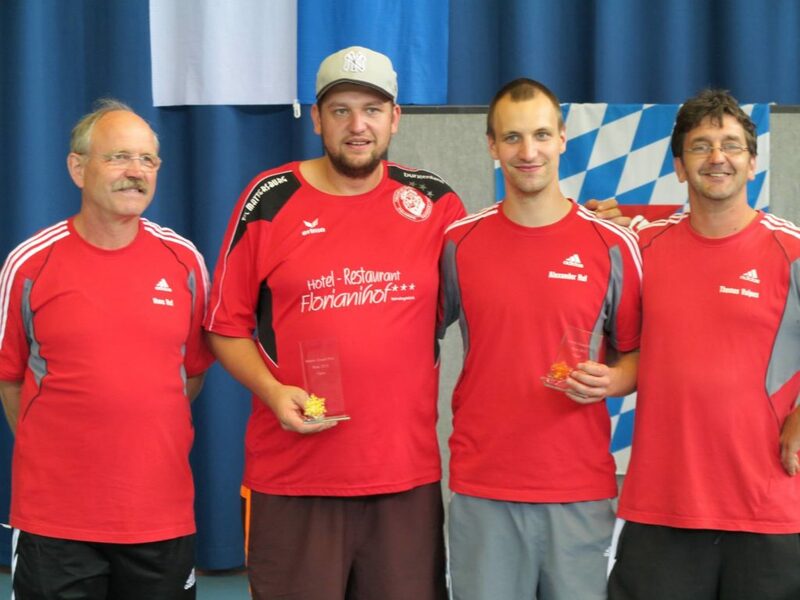 At the FISTF Grand Prix of Germany in Rain, the team of TFC Mattersbrg was on fire, winning not only the team event in a final against SC Stembert from Belgium but also claiming the Open category with Wolfgang Leitner who beat Alexander Haas in the final. Local player Alexander Ruf and Christian Blümel were the semi-finalists. Lukas Eppensteiner (TSC Royal) won the U15 final against Marios Strommer (TFC Wiener Neustadt). 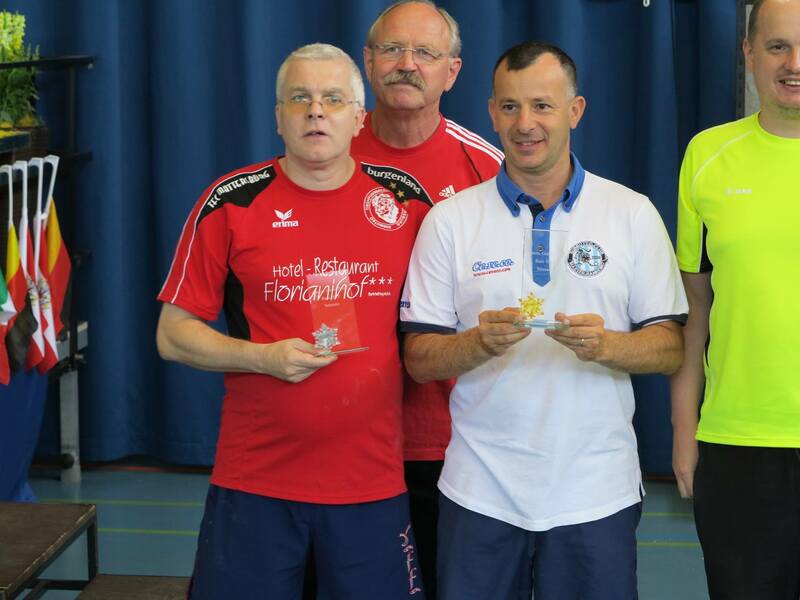 In a nice veterans category with 27 entries, Italy’s Gianfranco Calonico defeated Erich Hinkelmann in the final (4-3). Manfred Pawlica and Günther Bamberzky also reached the semis. Finally, in the ladies section, Switzerland’s raising star Noemi Bernhardsgrütter won the tournament after beating Conny Vulpes in the final. 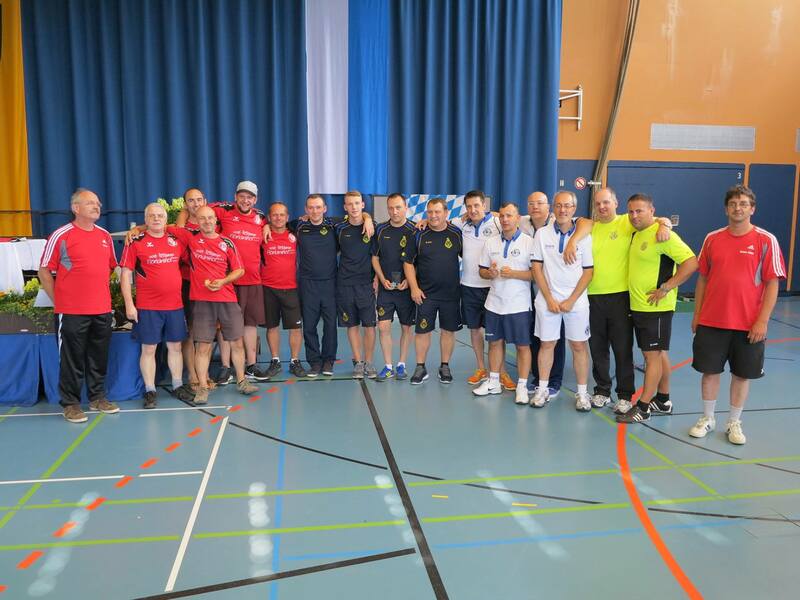 To be noted that organizers also managed to give a WASPA tournament for eliminated players and Arnold Mair from Rain took the honors after beating Daniele Gambe in the final. This entry was posted in FISTF News and tagged Germany, Grand Prix, Results. Bookmark the permalink.